No doubt Bangkok is the indisputable food capital of Southeast Asia. With as many street food options as fine dining alternatives, experimentation and fresh ingredients, the Thai capital is the perfect thriving ground for incredibly creative and fascinating outlets to open. 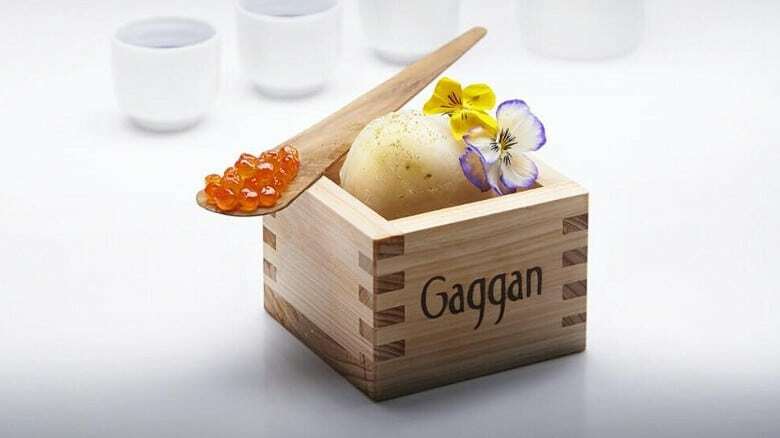 Gaggan, a progressive Indian restaurant in the heart of Bangkok’s business area, is proof. 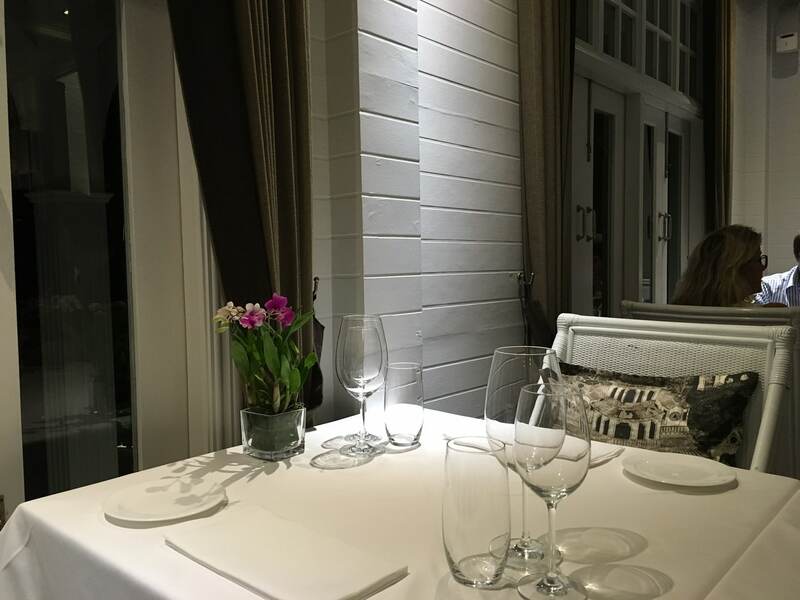 A restaurant which did not exist a few years ago has climbed the ladder to the top of Asia’s San Pellegrino Best Restaurant list in a previously unseen time, unthroning also Bangkok resident Nahm, from the top place. 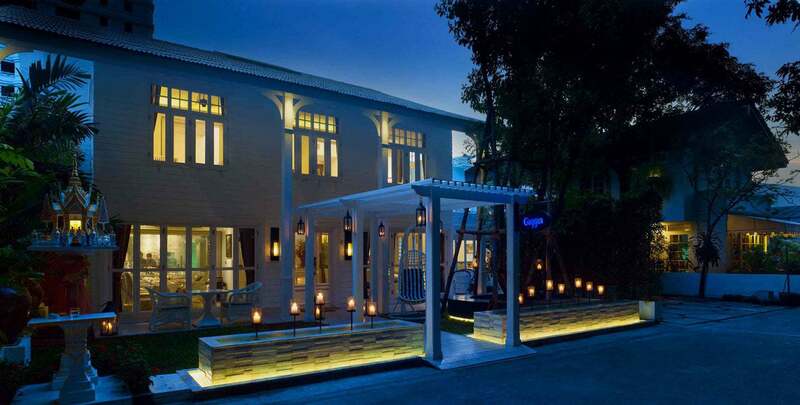 Gaggan Anand announces on his site that the restaurant is “the result of a drunken night”, and closes his introductory note with, “and here we are”. But not everything is the result of just luck. 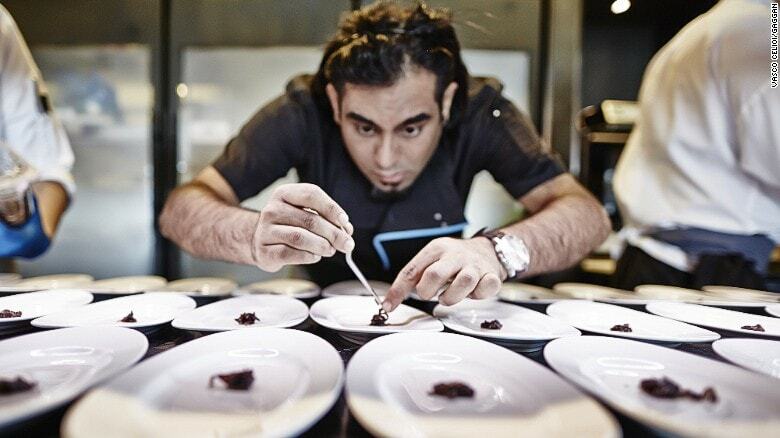 Gaggan studied under the supervision of El Bulli’s Ferran Adria. After numerous calls asking for an opportunity the Catalan legendary chef finally accepted Gaggan insistent demands and welcomed him into his realm not to work in the kitchen but in the research lab. 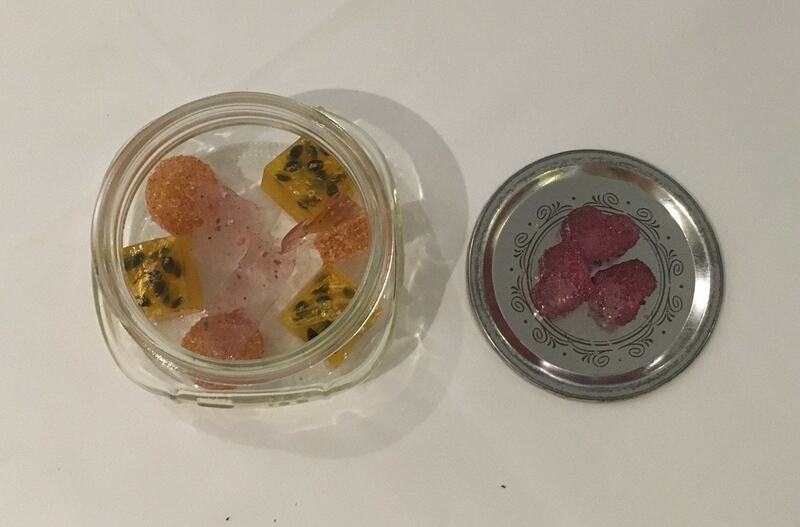 “What should I bring?”, asked a young Gaggan before packing for Catalunya, “Indian pices!”, he was summoned. Eating at this young chef’s eden is a nod to Adria’s molecular cuisine. 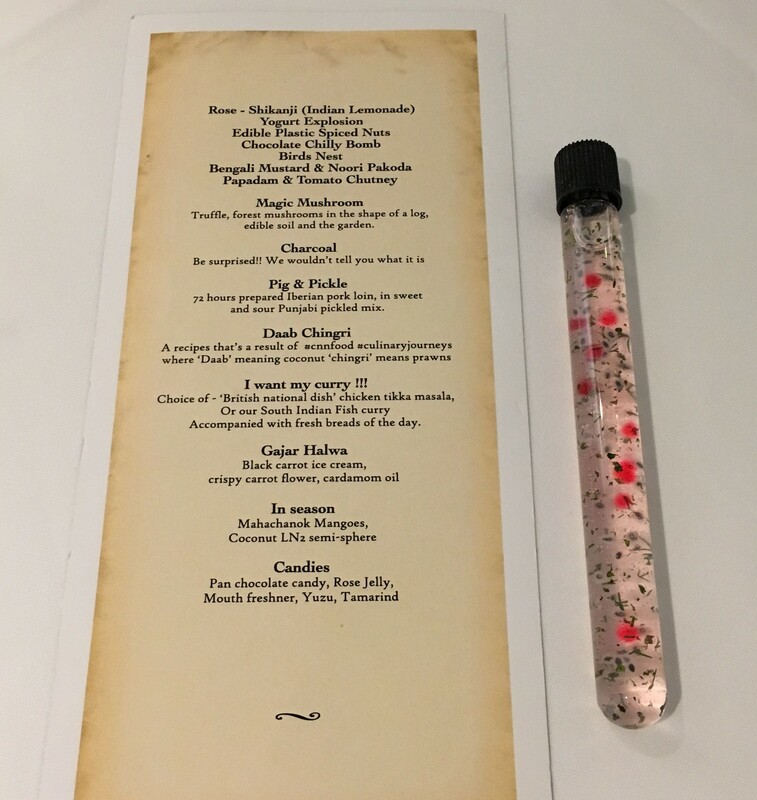 I, for one, am a fan of Ferran’s cuisine and visionary take on science lab-meets-kitchen and, although I never got to eat at El Bulli before it closed for good, I have enjoyed several of his off springs. 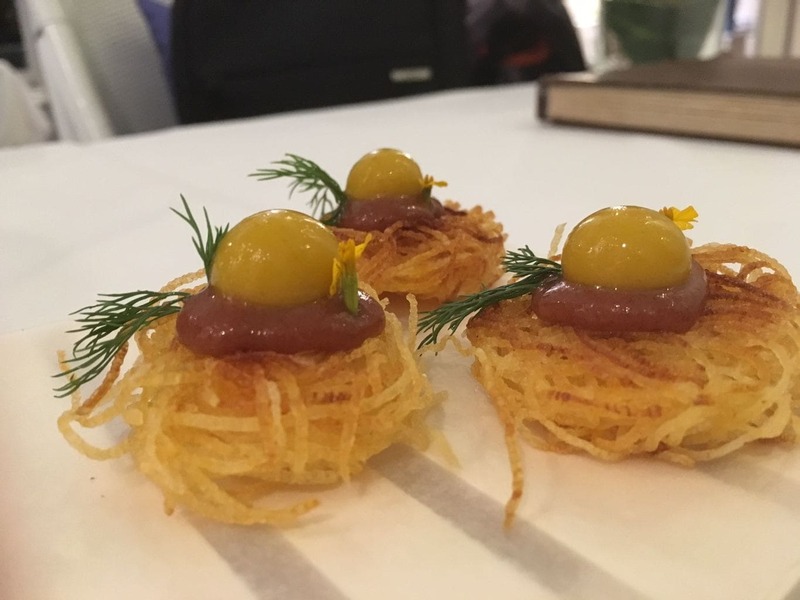 Gaggan felt familiar in the unfamiliarity of Indian cuisine. The molecular essence of many of the dishes paired with the white washed walls, the flower cushions and the high ceilings of a Bangkok colonial house were a contradiction, a joke almost, when contrasted with Indian richness of flavors and textures. 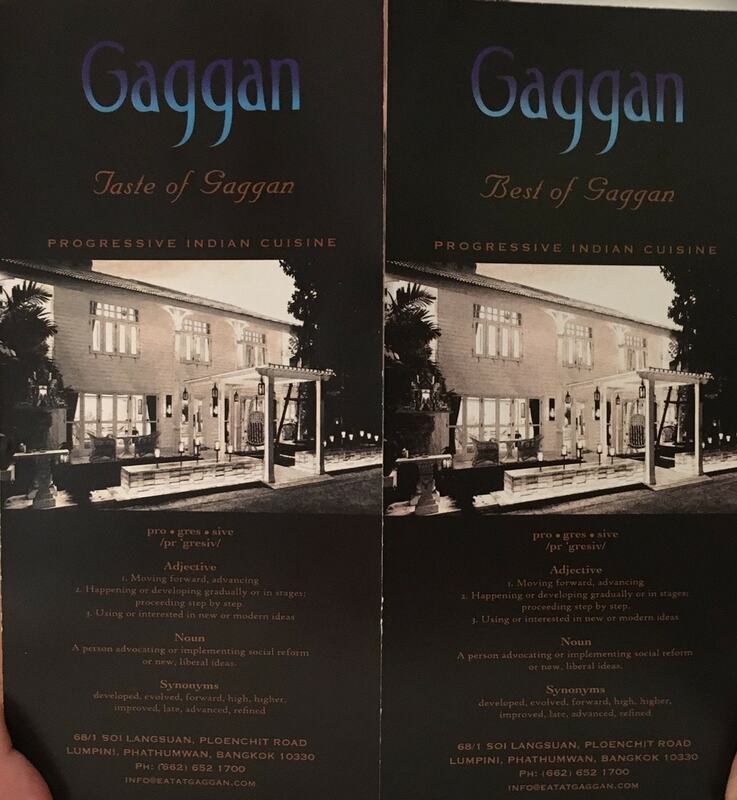 Yet Gaggan’s cuisine cannot be defined as mere Indian for he is progressive in his thinking, his ingredients and his technique. The CNN interview with Anand is a revelation into the Chef’s thinking. The channel’s Culinary Journeys series introduces us to the world of modern Indian food. I arrive first of a group of five and I am directed upstairs on a beautiful colonial mansion in the heart of Bangkok’s chaos. On this side street however, there is peace and quietness and the front gardens with veranda chairs to relax are a welcome sight. Somehow, I am relaxed as soon as I walk into the well lit bright room. Upstairs, the dining room is scattered through various rooms all with white walls, large tables and chairs and original wood flooring. I take a sit when the drinks menu appears and soon my friends arrive. Whereas the food menu is organized around two set degustation menus the drinks list is long and intriguing. The choice of cocktails is as fascinating as the food will be. We can’t but want to try all the fun and interesting concoctions. We settle for a Drunk Samurai served in a wooden square glass and topped with wasabi. The Fake Beer looked exactly like a pint but tasted nothing like. The foam was made of whipped egg whites but the contents were Whiskey. The Coconut Lassi came on the shell and overflowing with dried ice smoke, a feast to the senses and an eye catchy show. My Mango Mania cocktail is deemed for children by the waitress. I insist, I love mango and the idea of having to eat it with a spoon is appealing although it seems it is the type of beverage children would enjoy. 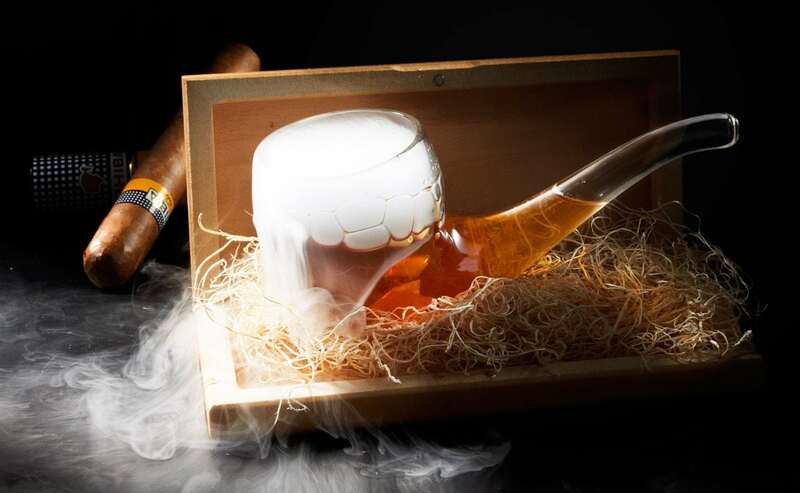 But the star of the menu is the signature drink, served in a potion glass, Witched Potion. It is to be sipped through the narrow side. I still prefer my mango ice cream meets cocktail drink. Above the great tastes and the inventive combinations, textures and flavors, Gaggan managed to entertain us with the drinks. They brought about conversation, curiosity and laughter to the table. Of the two options the difference, we are told by our very strict waitress, is the length. The shorter one should take us 1,5h whereas the longer one is more complete taking 2,5h. Of course, it all depends on us. Eventually, the decision is taken away from the food and based on the time: we are all tired on a Monday evening so we are happy to enjoy the shorter menu. I realize not one of us has looked at the menu. 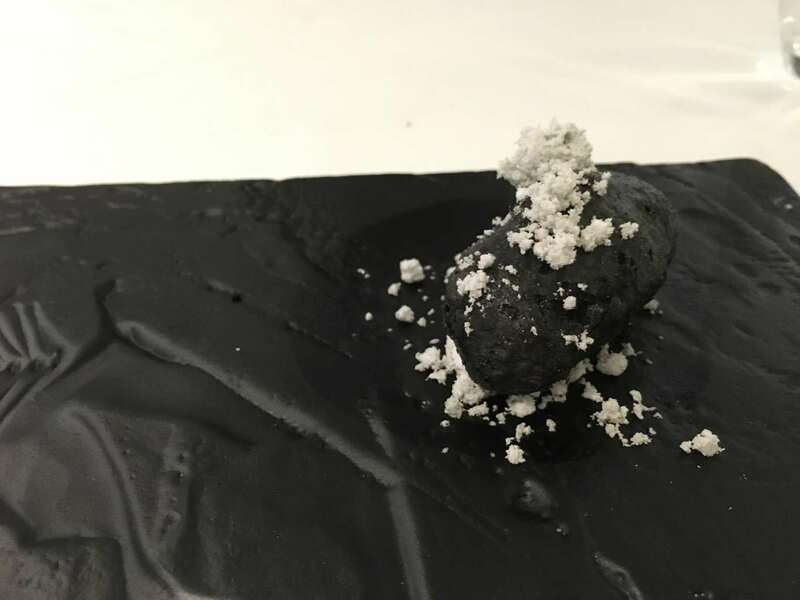 One does not come to Gaggan with a plan in their head but to be surprised and, at that, the Chef is extraordinarily good. Charcoal – be surprised! We wouldn’t tell you what it is. We were not told what was in there until we ate it. It certainly looked like charcoal and had a similar texture. If I told you I would spoil the surprise! Daab Shingri – a recipe that’s the result of CNN Food Culinary Journeys series. “Daab” means coconut and “chingri” means prawns and this is a Calcutta street food recipe. 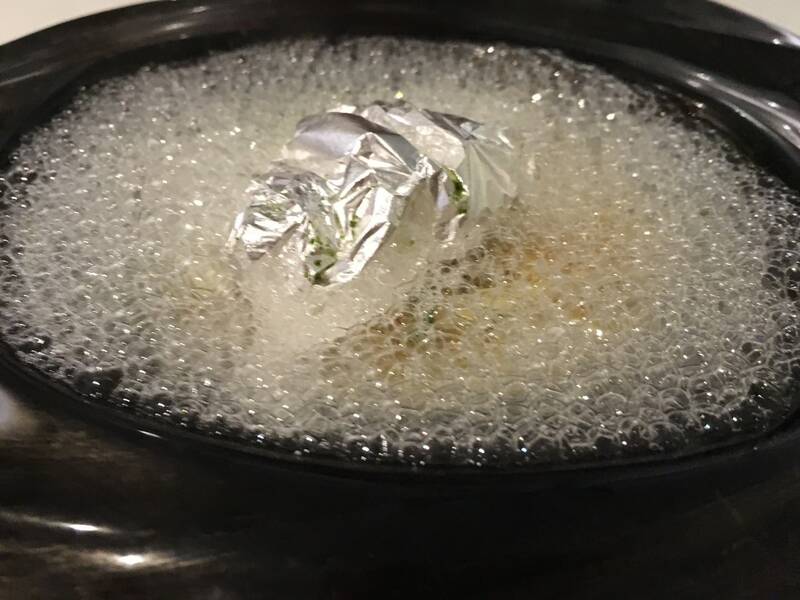 This was a good-looking boiling bowl of white bubbles with a silver wrap filled with prawns. 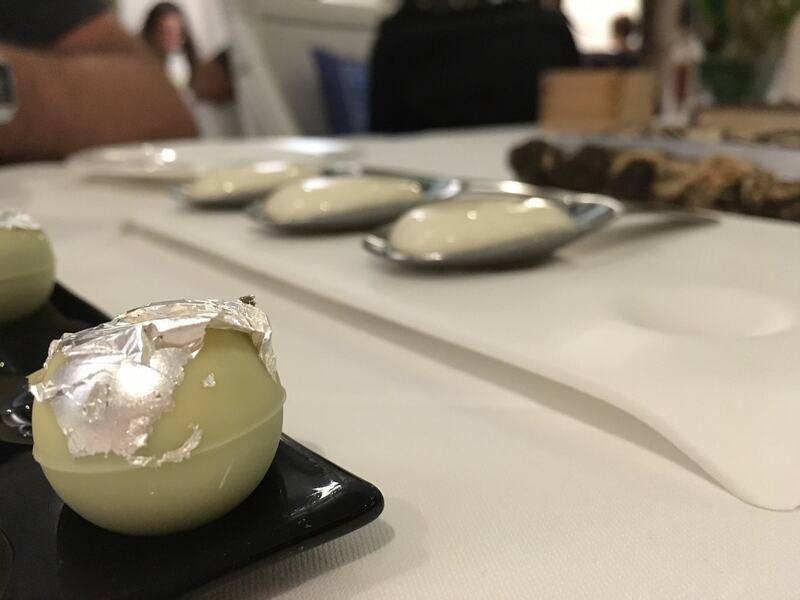 The silver layer is a souvenir of Gaggan’s sweet shops in Calcutta. 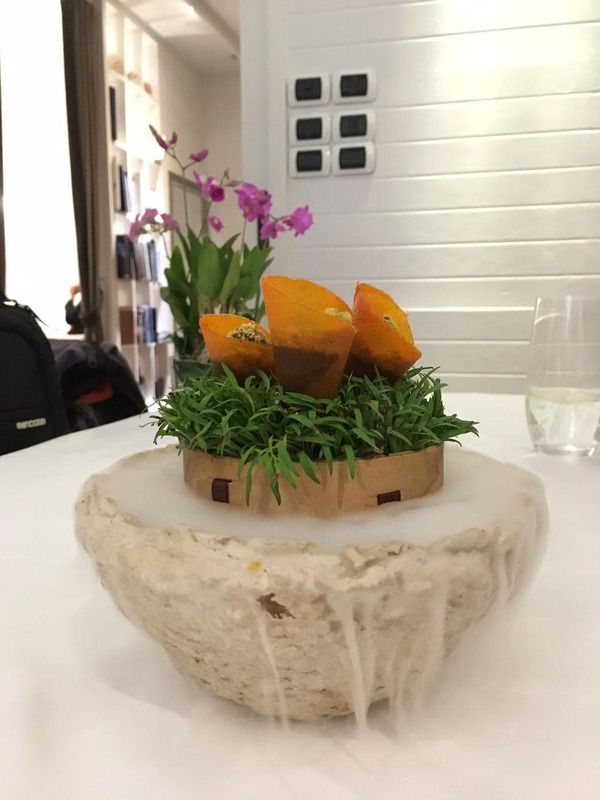 Gaggan’s own interpretation of the dish is a molecular cuisine version of a simple yet delicious Indian dish. I want my curry!! Choice of chicken tikka masala, British national dish, or our South Indian fish curry accompanied with fresh breads of the day. “You think Indian food is eaten when drunk, at night”, Gaggan complains in CNN’s Culinary Journeys. He wants to elevate the standards of Indian food but he realizes that curry is the national dish and one that people enjoy the most. He is opening a more day-to-day curry outlet across the street from Gaggan. Service was impeccable, German clock-work almost. Our Korean, Russian raised waitress had moved to Bangkok after periods in several Central Asian countries. She gave us instructions about what we were eating and how we were supposed to. She would stand there, firm, by the end of the table, as we finished conversation and listened to her introductions of each dish. Last year, I went to Bangkok and made sure to book a table at Nahm. I had to move Haven and Earth to make it happen, including staying at the COMO hotel where the restaurant is located, but I managed, and I was truly disappointed. The food was not to my liking and some dishes were too spicy to eat. What is more, the desserts, my favorite part of a meal, we unpalatable. I questioned its no.1 position, like many have recently, when the global list from Restaurant week only features a handful of Asian restaurants despite their proven Michelin pedigree. 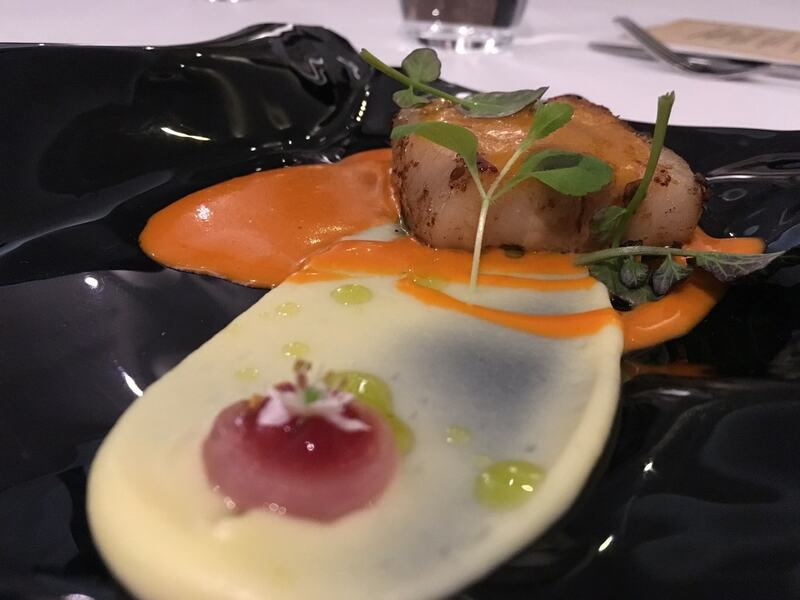 After eating at Gaggan I recovered my confidence. Gaggan is bold and fearless. It is brave and real and I loved that the chef is mischievous and, “a bit naughty”, as he puts it. The recipes are innovative and like nothing I had tasted before. 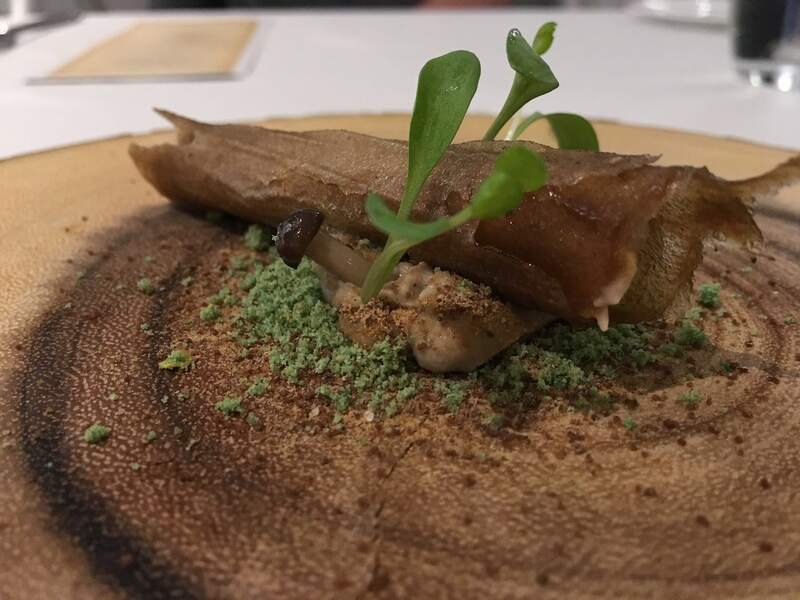 And, lastly, given the price, a very reasonable $80 per person for the shorter tasting menu, it is a great experience not to miss when in Bangkok.